I'm speaking very broadly here, but in the world of videogames, the horror genre has really lost its way. The core principles about what makes a horror text great - that it disempowers and displaces, that it unsettles and disturbs, was once a part of horror games, too. Starved of high quality visuals and processing power, developers instead needed to play with atmosphere and narrative. Now, sadly unburdened by those constraints, developers have instead resorted to childish jump scares and extreme gore. So much gore. The problem is, we get so much gore in so many games that we’re desensitised to it all. We get a laugh out of the way a loud bang in The Evil Within, Resident Evil 7 or Outlast can make us jump through its first couple of tricks, and these developers all know how to make their monsters monstrous and ugly enough, but by the time the credits have rolled they've made it quite clear that they're gruesome action games, quickly forgotten and certainly we’re not left dwelling on them. There are exceptions. Games like The Park, Yomawari and Corpse Party are so effective because the narratives they weave rely on so much more than monsters and cheap thrills. 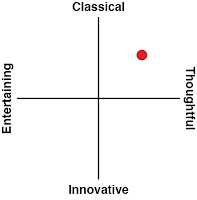 They're special experiences because, months or even years after playing them, their themes are still resonant and memorable. 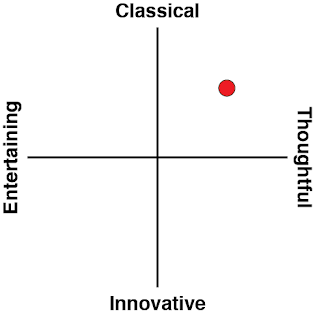 But those exceptions are few and far between, and that’s very unfortunate, because the genre was not always like this. Back on the PlayStation 1 and 2, in particular, there was a purple patch for the genre where real experimentation was happening, and games like Clock Tower 3, Silent Hill 2, Project Zero 2 and others looked for ways to really elevate the genre beyond action and jump scares. 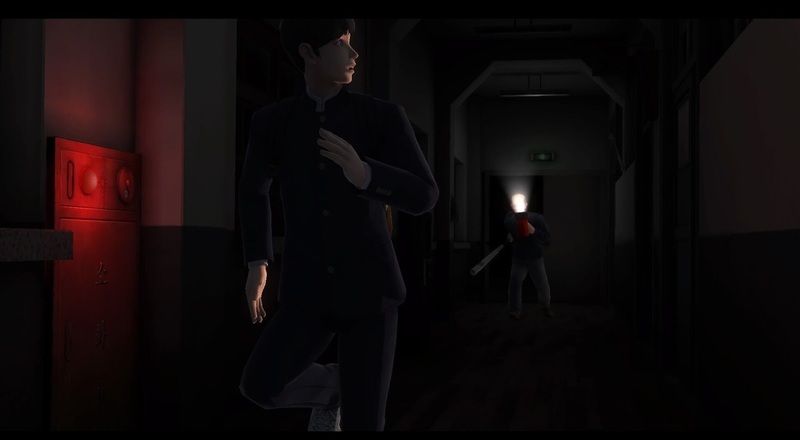 White Day: A Labyrinth Named School belongs to that classical tradition, and it’s a masterful, atmospheric, and genuinely horrific game as a result. It’s an old game, now, having first released in 2001, but it has never really been available in the west in an easily accessible manner (at least for those of us that play their games predominantly on console). This is the first time that I’ve had the opportunity to play it, and putting aside the primitive visuals and voice acting that, remake or not, does feel dated, the game does succeed in providing me with everything that I actually want in a horror game. White Day takes place at a school; always a remarkably effective setting for horror, for a good number of reasons. The first is that schools are quite isolated places to be outside of the actual school hours; and isolation is one of the most effective ways to disempower a character by removing any safety net that they might otherwise have relied on. The physical design of the buildings also helps enhance the horror, I feel. Schools comprise of long hallways and this can be used to build tension as a character slowly creeps down them. The repetition of the rooms and the general focus on functional designs in schools also makes them labyrinthine in aesthetic, and this too can be used to horrific effect; anything that can break with the monotony of a school environment shatters the comfort of uniformity; this is very subtly disturbing to the mind to see, and also enhances the transgressive undertones of most horror experiences. But putting aside the practical design reasons to set a horror narrative in a school, the other reason that I feel schools make for effective horror settings is that the very nature of schools represent an youth and innocence, and anything that can disrupt or shatter that innocence is something inherently frightening. 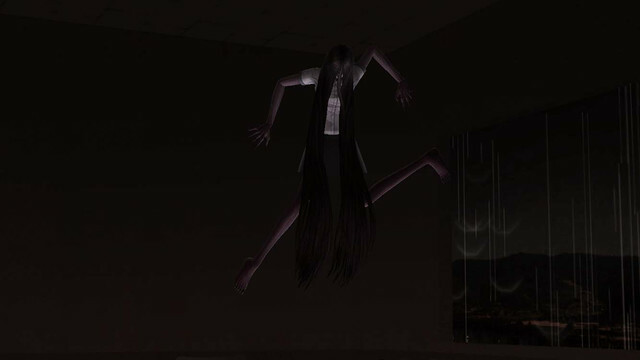 Other games have latched onto this; Clock Tower 3 wasn’t set in a school, but its protagonist, Alyssa, wore her school uniform through the nightmare, and that costume only enhanced the perception of her vulnerability to then observe her running for her life from the hulking serial killers chasing her. White Day stars Lee Hui-min, a gentle young boy that finds himself trapped in a school from hell simply because he wanted to return a gift to an incredibly cute girl. We've all been there before, right? Like Clock Tower 3’s Alyssa, Lee can’t actually fight; he needs to run from the things that want to hurt him as he tries to unravel what’s going on around him. His generally helpful nature (right from the start he’s doing all kinds of things for the girls that he runs into... who are also around the school at that time of night for some reason) further emphasises his earnestness and helpfulness, as does the game’s title itself. “White Day" refers to a rather sweet tradition in Asian cultures where, one month after Valentine’s Day - when a girl gives her crush or partner a gift - the boy is meant to “respond” with a gift of his own. Lee's a genuine innocent, in other words, and in terms of motif, chasing this elusive girl around a haunted school to give her her notebook back certainly plays up the title, while effectively setting the scene for plenty of horror. This boy is at the school to do something sweet, and what he ends wrapped up in is a complete tear down of that; yes, the school setting for White Day is just perfect. 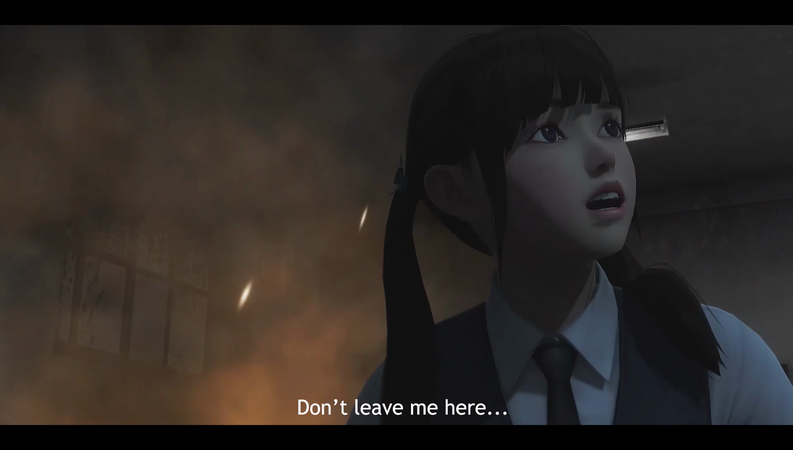 The narrative itself is a tragic story of spirits being trapped in the school, which was previously a hospital during the hellish Korean War, and, in their bid to try and escape, bring untold destruction to the living. Like how many horror stories from the west being based on the dominant (Christian) spirituality, White Day is centred in dominant spiritual beliefs among Koreans, particularly Taoism spirituality, and Feng Shui within that. You don’t need to be an student to those spiritual principles to “get” what White Day is on about, but what will be obvious is the different tonality it has to horror games developed in the west (as most of the notable ones tend to be these days). Asian horror is less interested in giving audiences monsters that are born or created evil than it is having us really understanding the tragic circumstances that lead to the monsters becoming what they are. In other words, you’re meant to empathise on some level with the monsters, and the horror comes as much from what happened to them as what is happening to the hero. All of this is in White Day. It’s let down by the voice acting which, in addition to being dubbed into English with no way of listening to Koreans speaking Korean (subtitles, please, no excuses for overlooking that), is also quite poor. Mind you, it's hard for the actors, no matter how good, to compensate for a script that itself is let down by some really odd interactions that are tonally dissonant with what's going on in the school itself (“yeah run away from the janitor, but they’re really nice people during the day” one girl says right after you witness him beating a male student with a baseball bat). That being said, in the moments where it matters the most, and in terms of the overall vision, White Day’s core narrative concept is strong enough that it is capable of building a lot of tension. Also working to the game’s benefit is that it plays like an older horror game. Remember trying to scrounge together enough ink ribbons in the original Resident Evil to be able to save at one of those typewriters when you know something big is coming up, and you don’t want to lose what can feel like hours of progress? White Day has you collecting single-use whiteboard markers for the same purpose. They’re often hidden or hard to come by, so there will be many moments that you’ll risk pushing on, rather than saving, in the hope that you’re able to delay using one of those markers a bit longer. Of course, while you’re sitting on dozens of minutes of unsaved gameplay you’ll jump at just about everything, so in denying players that convenience of autosaving that all, White Day today is even more effective in generating tension; games just aren't made like this any more, so players are even less comfortable with it. In addition, Lee can’t fight. He can try to avoid detection by making himself vulnerable and turning off whatever light sources he has. He can also run and hide, though if he makes too much noise he can draw attention. But he can’t fight. Not many modern horror games dare to make a character so vulnerable, and that's a pity, because nothing removes a player’s agency more effectively than having their character unable to fight back. 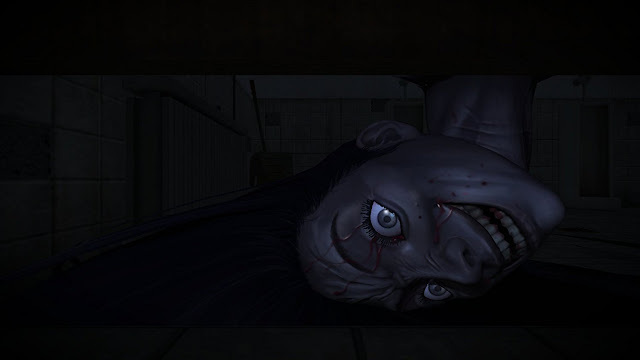 White Day is not a particularly difficult game (though some of the puzzles sit on the obtuse side), but I was far more tense as I was playing because at no point did I feel like I had the resources to cope with what was likely to be on the other side of the door that I was about to open. A game like Resident Evil 7 certainly knows how to be more difficult at points, but with a weapon in the hand you always feel like you can do something about that challenge. A final element that I found to be so effective in building horror in White Day was the need to deny yourself light. Light is critical for finding your way around, solving puzzles, and finding objects. But at the same time light attracts the attention of your enemies, so you’ll often be turning out lights and putting away light sources to avoid attention. It's clever, and similar to how in the Project Zero games you’re constantly being asked to resist your normal fight-or-flight response (in that case, letting the ghosts get close to you rather than keeping at them at a distance), because you do more damage to the ghosts with the game’s camera, which doubles as your weapon, when they’re close. Similarly, White Day asks that you put aside the natural impulse to want to see a threat around you in order to try and avoid it. There’s nothing more disempowering than switching off the lights and hoping for the best. Otherwise, White Day plays like the horror games of old; you’ll scratch around for “keys” (whether that be an actual key or some other tool) to unlock a door that you need to go through to progress further. While you’re doing that you’ll be exploring and solving puzzles, while staying out of reach of the aforementioned enemies. There will be noises in the distance that will cause you to tense up. At other times, the quiet will get so still that you’ll inch forward, preparing for the inevitable shock. And then you’ll get shocked anyway because all horror needs the occasional jump scare. This release of White Day is a remaster and does look substantially better than the original, but it didn't exactly have the resources that the remake of Yakuza did for Yakuza Kiwami, and it does ask that you apply some imagination for some of its more gruesome scenes to have impact. But then so much of this game’s horror comes through its storytelling that the primitive visuals are quickly and easily forgotten about, and it's rare that the game relies on grisly, shocking scenes for impact. It does have cute girls though. Incredibly cute girls. I don’t blame our hero dude for chasing their skirts into hell. I'd probably have done the same back in the day. Yes, White Day is an older game, but as far as the horror genre goes, and how it's evolved into something I place little value in, that’s actually a benefit. Given how few people have even known what this game is to date, the extra exposure that it will get from a re-release will mean that, hopefully, a new legion of fans will discover it, because it does deserve that. It’s a masterpiece in building tension and in the way that it plays within the classical approach to horror, without relying on jump scares and endless bloodshed.